The Jordanian Army upgraded its existing British Centurion Medium Battle Tanks to the Tariq during the 1980’s. 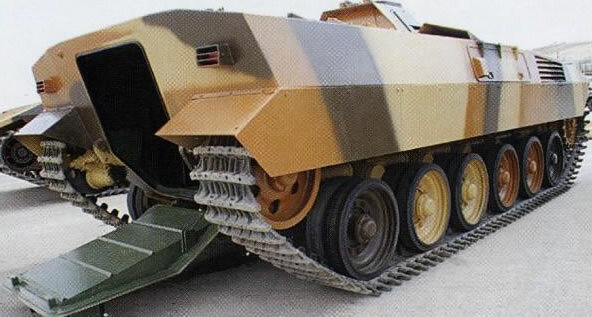 Jordan went on to receive the Khalid Shir, which was an upgraded Chieftain Main Battle Tank in 1979. As the Challenger 2 entered service in the British Army in the 1990’s, Jordan purchased its former Challenger 1’s under the designation Al Hussein. As well as their M60A3’s, the Jordanian Army has been upgrading them, making the Tariq obsolete. Most nations simply scrap surplus tanks, however there has been a recent trend, the Israelis being the first, to convert these surplus tank hulls, which offer greater armoured protection than purpose built APC’s & IFV’s into heavy personnel carriers. The Jordanians are no exception to this rule and have been converting their Tariq’s in to the Temsah Heavy Personnel Carrier. The centurions engine, like 90% of tanks is located at the rear. On APC’s/IFV’s, the door for the embarked troops to exit is also at the rear, which left the Jordanians with a conundrum. So they flipped the vehicle around so that the rear of the vehicle with the engine was now the new front and the old front is now the rear with a door for the troops to exit from. They then built a higher roof for the superstructure which replaced the turret and where the troops are situated. It is claimed that frontal arc provides protection against 120-mm ammunition. Additional passive or explosive reactive armour packages might be fitted. 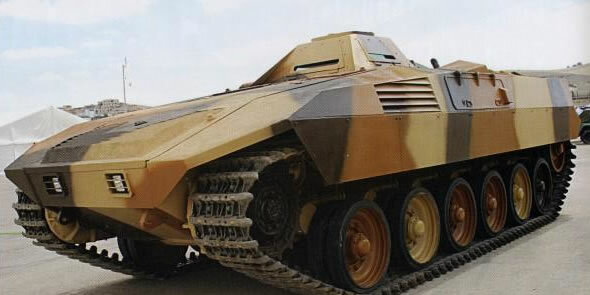 The Temsah heavy APC has a crew of two and provides accommodation for ten troops. Troops enter and leave the vehicle via a rear ramp or five roof hatches. No firing ports are provided.